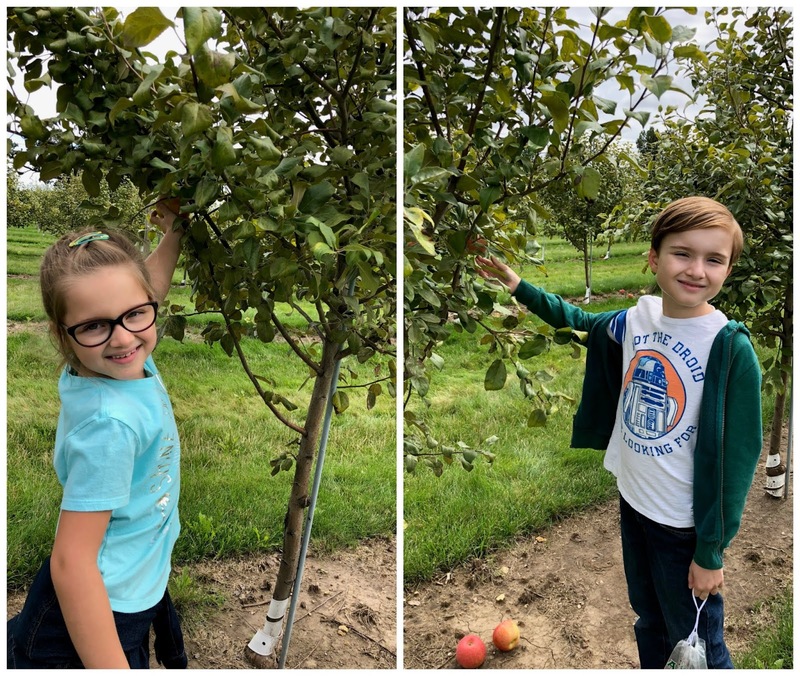 My family recently went to Goebbert's Pumpkin Patch and picked apples at the apple orchard. At first I was going to make apple sauce and then it hit me, apple butter! This was going to be the first time I make it myself, but like usual I tweaked a few recipes I found online to make it my own. 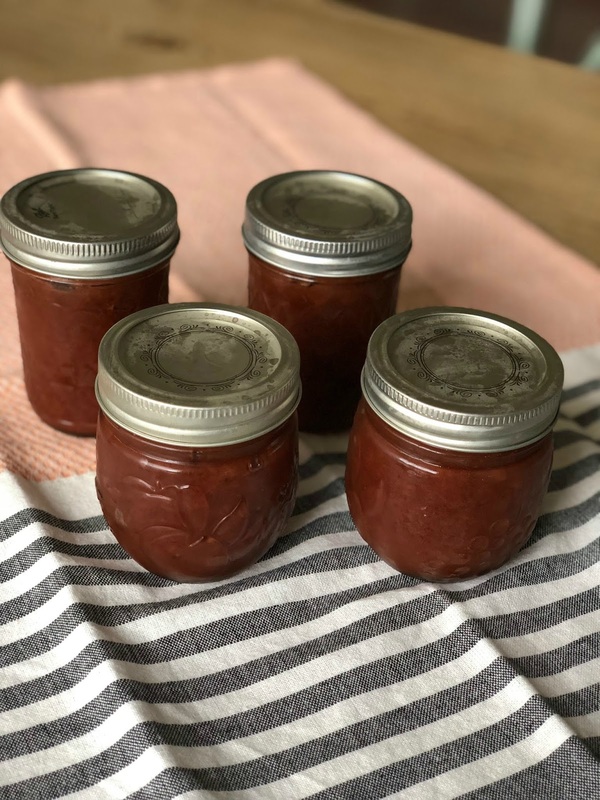 Some apple butter recipes have brown sugar in them, some don't. Some have a little cinnamon, I wanted more. In the end, I added more cinnamon to mine, added lemon juice, and went with adding organic brown sugar. 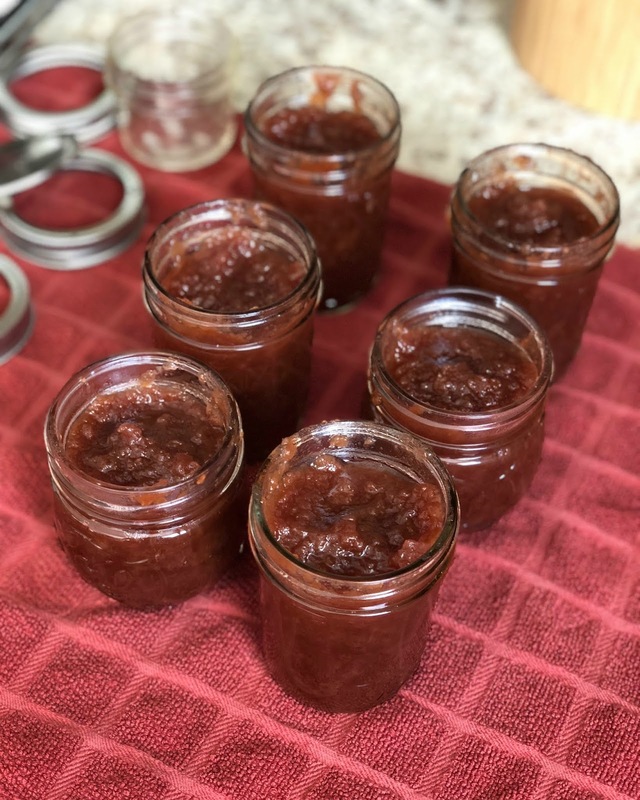 The entire family loves the recipe and as someone who grew up eating apple butter often, I have to admit I am very happy with how it turned out. -6 pounds apples peeled, cored, and sliced. 1) Place sliced apples in a slow cooker. 2) Add the sugar, brown sugar, cinnamon, vanilla, salt, and lemon juice to the crock pot. Stir until all apples are coated. 3) Cook in slow cooker on low for 9 hours, stirring a few times during this process. Your apple butter should be thick and dark brown when finished. 4) If you want, use a blender or ninja to puree the apple butter until smooth. 5) Put in sanitized jars, seal and refrigerate for up to two weeks. You can also freeze small batches! 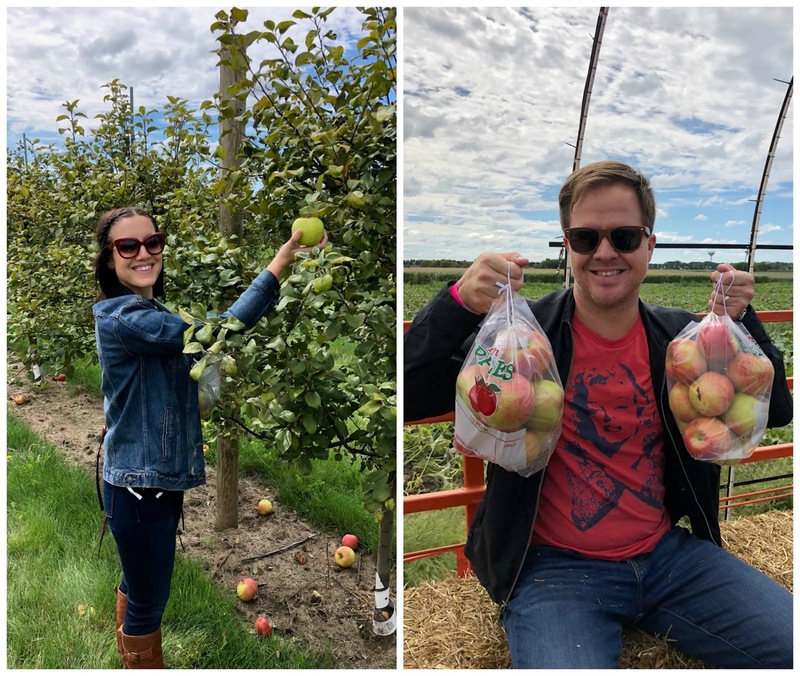 Are you a fan of apple butter? Have you ever tried to make your own?